Thank you to Tena with Faller Landscape in York and to all the youth who participated in our 4-H landscape design workshop and helped plant the Nebraska area! It will hopefully be beautiful for fair! 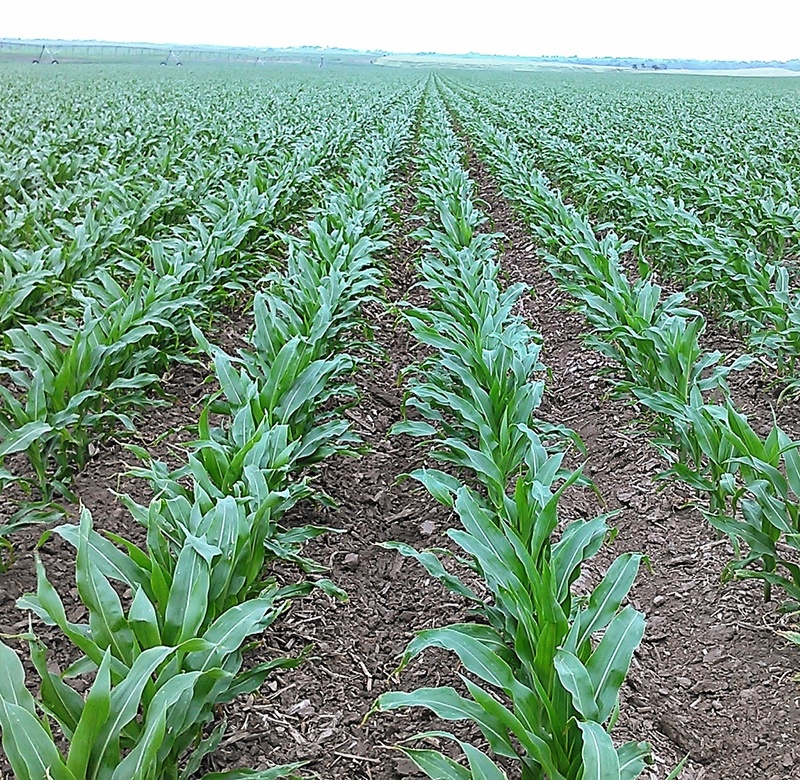 Crop Update: Rain continues to be spotty and windstorms have resulted in various levels of greensnap in some fields. Overall crops are growing and getting a decent canopy. It’s been interesting watching the radar on weather apps as so often they look like precipitation should be occurring yet that’s not always the case. 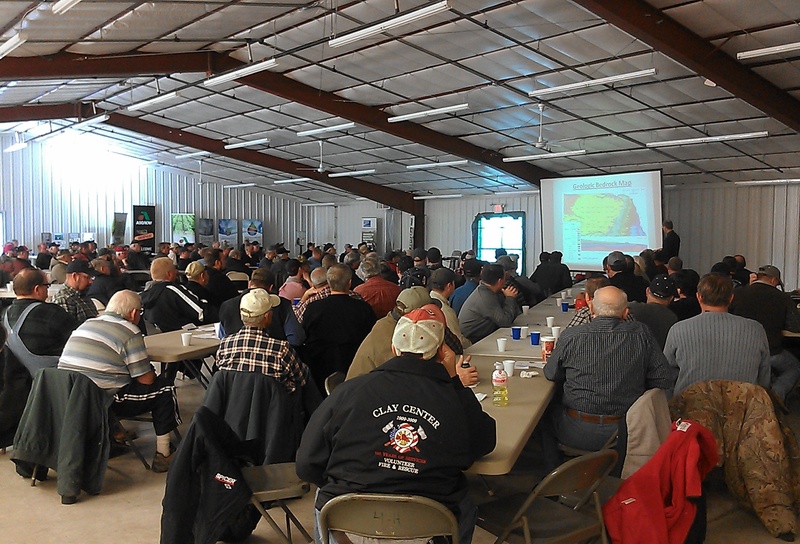 Grateful for all of you who share crop updates-including things such as impacts on hay crops, pastures, etc. and for our farmers working with me on soil moisture monitoring. I was told this past week of the impact of our groundtruthing on the drought monitor; radar would make it appear we’re not as dry as we truly are. So just wanted to share that with you-that your input is important as we then share that input with those who work with the models and maps! I plan to get soil moisture sensors installed in non-irrigated fields in York, Seward, and Clay this week as well. 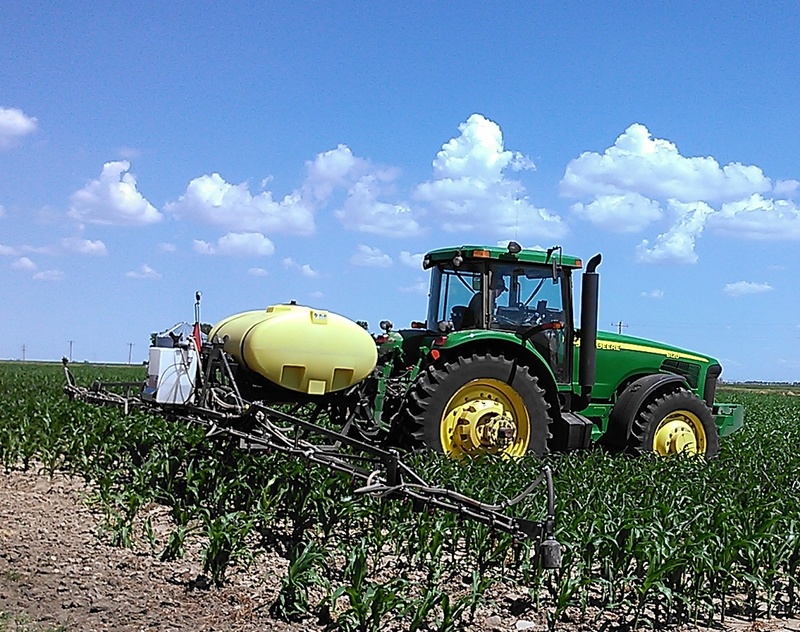 Soil Moisture Sensors Tips: With cultivating and hilling progressing, some are now looking at getting soil moisture sensors installed. If you utilize watermark sensors, the following are some tips I’ve learned. First, make sure sensors read 199. Then, soak sensors for at least 24 hours. They should read 10 or less (Jenny’s note-I realize they may read this in a matter of minutes to hours but it’s our best practice recommendation to ensure all air bubbles are removed). If they don’t read 10 or less, gently rub any soil loose on them with your fingers (don’t use a brush) and allow to continue soaking for another 24-48 hours. If they still don’t read under 10, I don’t use them. Best practice is to then allow the sensors to completely dry out again to 199 to complete the wet/dry process. (Jenny’s note: I realize, due to time constraints, many sensors get installed once they have been soaking and never go through the complete drying process). 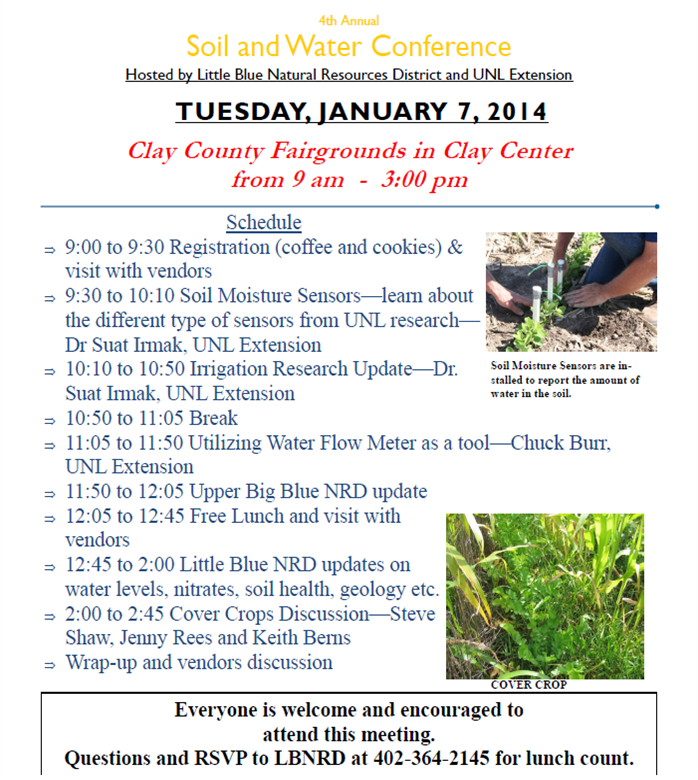 Avoid installing sensors in saturated soil conditions in clayey soils. Doing so allows a thin clay film to develop on the sensors which then affects readings . Prior to installation, the sensors should be soaked again and installed wet. The soaking process only takes a matter of minutes to get back to 10 or below. I carry the water bucket with sensors with me into the field. When soaking, water moves into the PVC pipe, thus it can take time for the water to drain providing accurate readings if not removed. Some sensors have a hole drilled in the PVC pipe above the sensor to allow water to drain. Otherwise, it’s important to remove the caps and tip the sensors over to dump any water that has accumulated in the PVC pipe during the soaking process. I then put the cap back on, take my hand and wet the PVC pipe with water so it pushes in easier. Some like to use WD-40 but my concern with that is it getting on the sensor affecting readings. Install all sensors where the sensor itself sets using an ag consultant tube (can be 12 or 18 inches). An ag consultant tube has a slightly smaller diameter that provides a tight fit for the sensor. Use a regular soil probe for the foot above that. For example, for 1’ sensor, I use ag consultant tube. For 2’ sensor, I use regular probe for first foot and ag consultant tube for second foot. For 3’ sensor, I use regular probe for first 2 feet and ag consultant tube for third foot. The reason for this is in clayey soils that are wet, there’s greater resistance to pushing in that sensor, so this is one way I’ve found which is easier for someone like me to push them in. (Jenny’s note: many have installed sensors with a regular soil probe through the years and that’s also fine. Just know that you may see more water run along side of tube before soil makes a tight fit around where sensor is located. I’ve just found less issues with this when I use the process described above). NEVER pour water into the hole or make a slurry. Make sure the sensor hits the bottom of the hole as air gaps can make the sensor readings inaccurate. Some people find it better to not remove the entire amount of soil for a specific depth and then push the sensor the rest of the way till the correct depth is obtained. I’m not always strong enough to do that so do what works for you as long as the sensor is at the correct depth and there’s no air gaps. Make sure to fill in any gaps around the sensor with soil and make sure there’s no soil cracks around the sensors. Make sure to mark each sensor and flag them well. 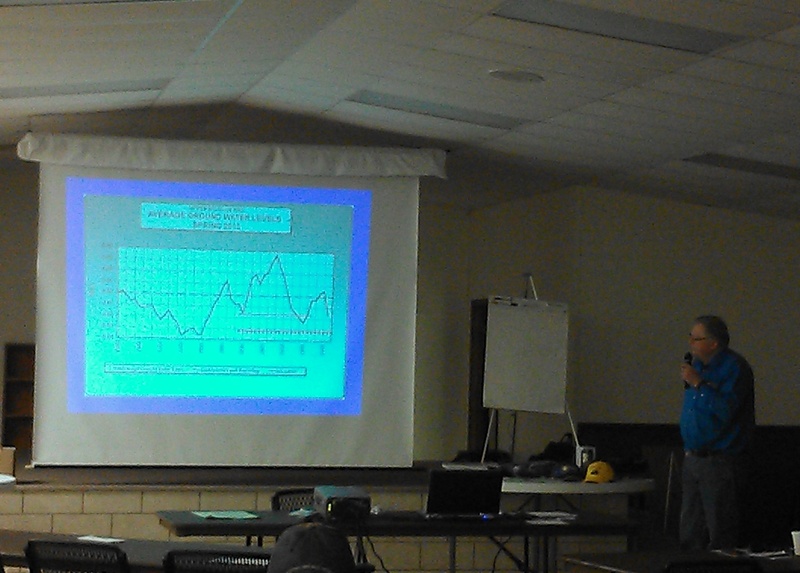 Sensor readings should equilibrate with the soil within 48-72 hours but especially within a week. If a sensor starts reading really dry, before replacing it, I often remove it and reprime it in the field. This can be done by re-soaking in water for 1 minute or so till it goes back below 10 and then reinstalling in same hole. If it doesn’t go below 10, I replace it. If it reads strange the next week, I also replace it. A reminder to use distilled water in the tube and to fill the ceramic top when you’re also filling the main tube. I usually fill the ceramic top and wait for it to soak up a little then fill again. Prime the ET gage ensuring no air bubbles are in the second tube with the stopper. I always overfill the ET gage to help with priming and ensuring there’s no air bubbles. Excess water can be removed and also air bubbles can be removed by gently pulling down on the glass site gauge tube at the rubber base and releasing extra water from it. Air bubbles can also be released in this process. Place the site gauge tube back in place when you are at a water level between ‘0 and 1’. Then place one red marker ring on that beginning start level. I always plan to refill the ET gage when it gets down to ‘9’ on the site tube. The green canvas cover should be replaced at least every 2 years and be sure to dust it off and the white membrane below it. 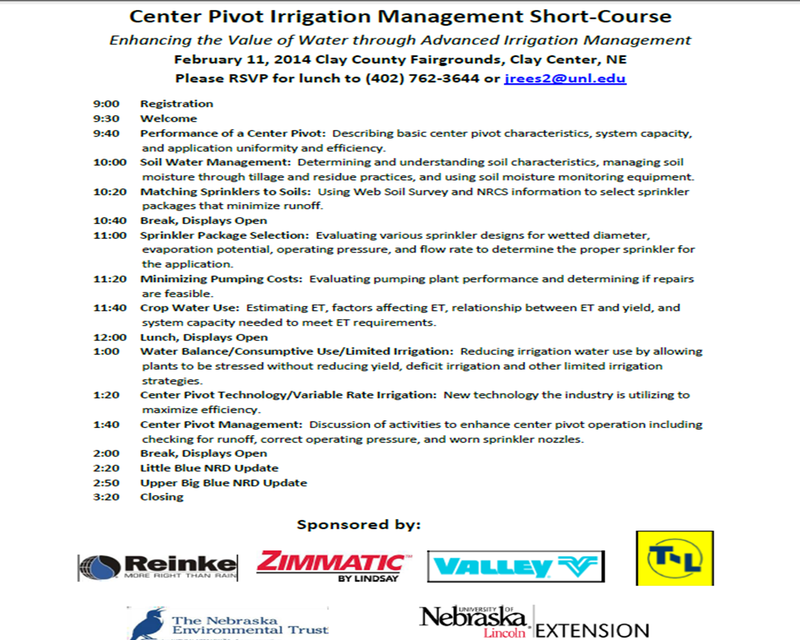 In another column I’ll share how to use the two tools together for irrigation scheduling. 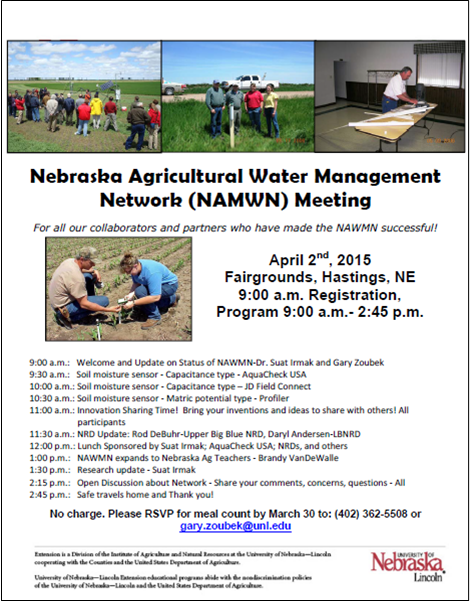 All videos and charts with more information can be found at: https://water.unl.edu/category/nawmn. This is a checklist I made awhile back with Daryl Andersen which has more detail and could honestly be updated: http://www.littlebluenrd.org/pdf’s/forms/etgage_sensor_checklist.pdf but may also be helpful. Tree Damage: Recent windstorms have caused for many downed branches and even some trees. When removing broken branches or dead branches, it’s important to prune correctly for tree health. Correct pruning of larger branches can often involve 3 cuts per limb. The first two cuts are made away from the trunk of the tree to remove most of the weight of the limb. The third cut is near the trunk itself at the bark collar ridge where the tree will eventually seek to heal. I like this Backyard Farmer YouTube video as a good visual of correct pruning: https://youtu.be/9cl0Qxm7npk. Pruning is best done in the dormant season of February and March. It’s best avoided in April and May when trees are putting energy into new leaves and in the fall as fall pruning can result in growth instead of the tree preparing for and going into dormancy. Some great resources with more information on proper pruning are: https://go.unl.edu/v9uf, https://go.unl.edu/gdb9, and this blog post https://jenreesources.com/2014/04/20/proper-tree-pruning.